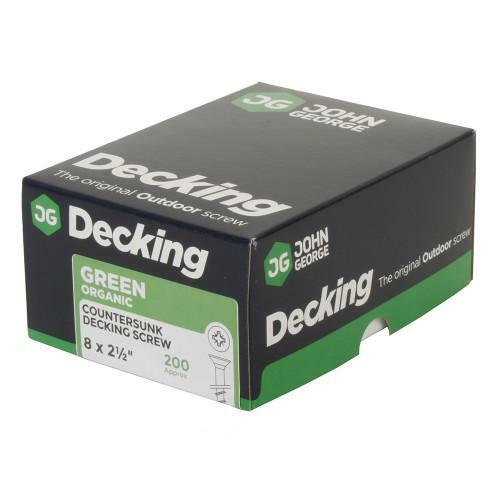 Firstly, our most popular decking screws are the 63mm x 8 (2.5 inches, size 4 in imperial) organic green pozi deck screw. 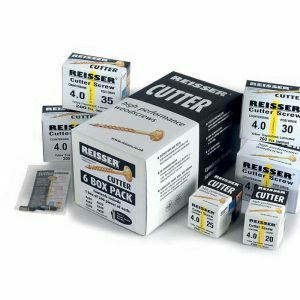 In stainless steel we stock two grades, A2 and A4 marine grade. With stainless steel there is a variety of drive heads available, pozi, torx and square drive. 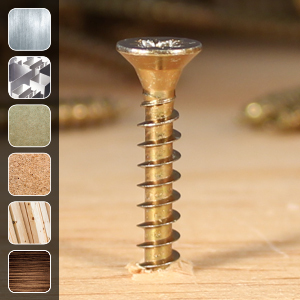 Our green organic coated screws are given 1000 hours salt spray corrosion resistance rating. 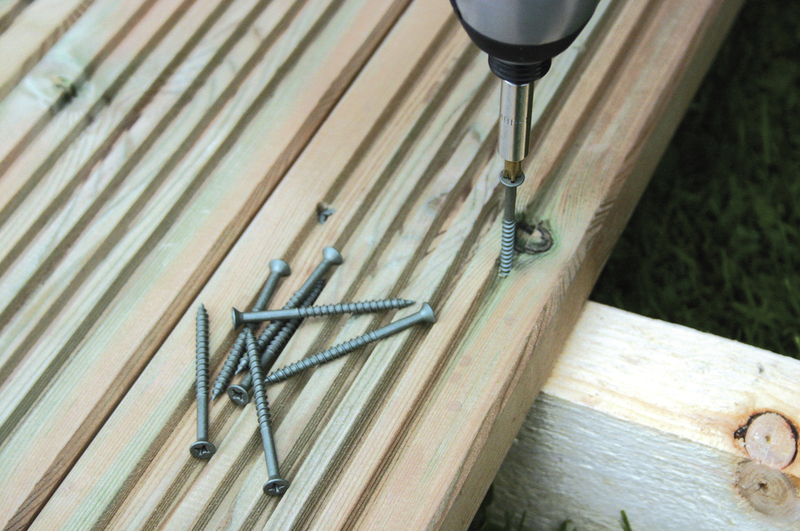 However, if your decking is in close proximity to salt water you would be recommended to purchase stainless steel deck screws. 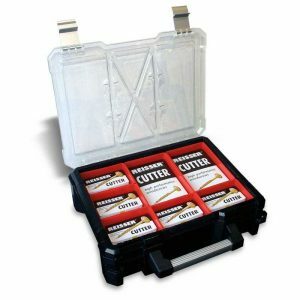 Ideally use A4/316 marine grade although screw sizes are limited to 63mm in boxes of 200. Many more size variations are available in A2 grade stainless steel. 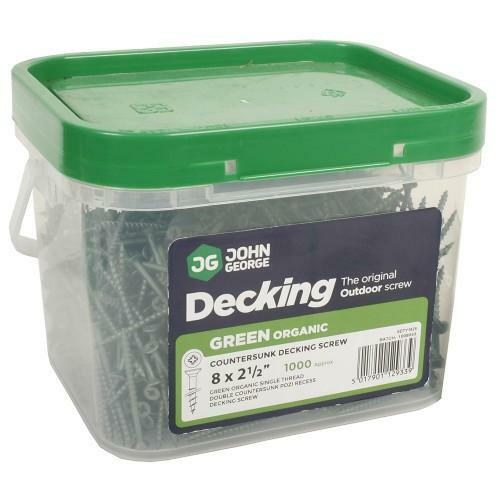 Lengths of organic green deck screws are 50mm, 63mm and 75mm and they are all available in boxes of 200. 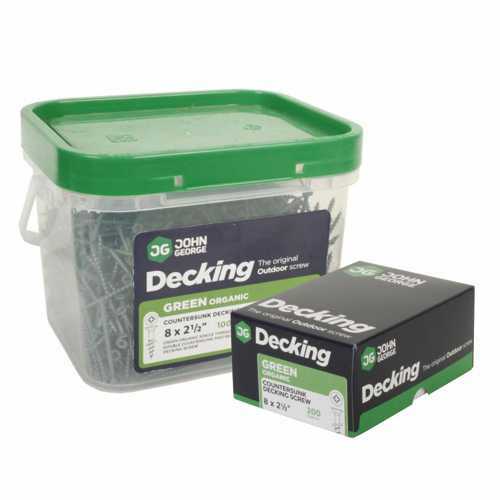 If you are constructing a deck of 20 square metres or larger you would be best adivsed to buy a bucket of 1,000 screws – we carry both 63mm and 75mm in buckets of 1000. Finally, we stock Simpson Strong-Tie A2 grade stainless steel in boxes of 200, 350 and 1000. 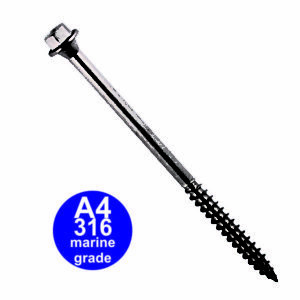 We stock several different sizes and brands of deck screws.